After breakfast the tour departs. First stop is Arusha Town for any last minute purchases before we head off on safari. Afterwards we head towards the Tarangire National Park for a game drive with picnic lunch at the park. Tarangire is well known for its huge elephant population and baobab trees. It forms the centre of an annual migratory cycle that includes up to 3000 elephants, 25,000 wildebeest and 30,000 zebras. Dinner and overnight at Gibb’s Farm . After breakfast, depart for Serengeti National Park, via the beautiful high lying farmland of Karatu and the Ngorongoro Conservation Area. Leaving the highlands behind, we descend into the heart of wild Africa – the Serengeti National Park – with its endless plains, rolling into the distance as far as the eye can see. Then heard to the central park area, known as the Seronera area, one of the richest wildlife habitats in the park, featuring the Seronera River, which provides a valuable water source to this area and therefore attracts wildlife well representative of most of the Serengeti’s species. 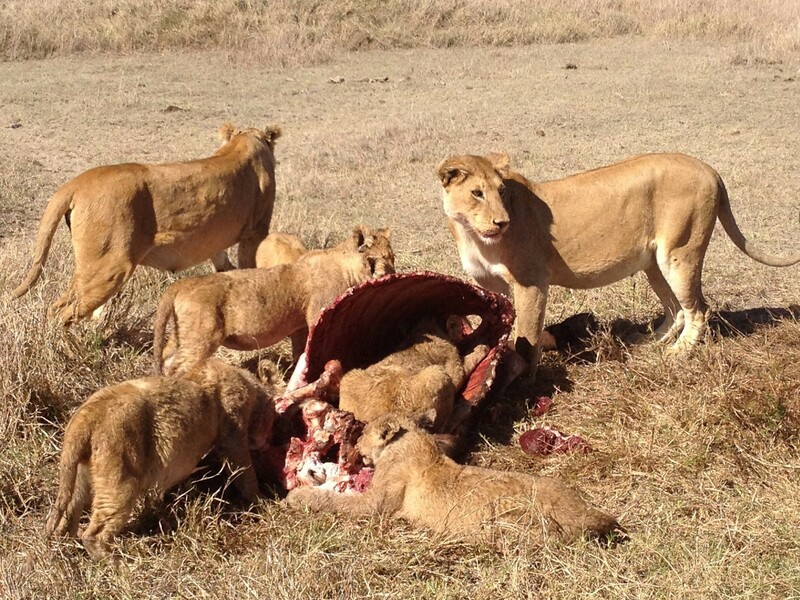 Arrive in time for lunch and enjoy an afternoon game drive in the Serengeti national park. Dinner and overnight at Serengeti Nasikia Tented Camp for 2 nights. Early morning game drive and after depart to Ngorongoro Conservation area. We will stopover at Olduvai Gorge, boasting with a history dating back to the dawn of time. It was here, that the anthropologists Drs. Lois and Mary Leakey discovered the skulls of ‘Nutcracker Man’ and ‘Handy Man’, both very significant links in the chain of human evolution Late afternoon transfer to Ngorongoro Sopa Lodge where you will have dinner and overnight.